I’ve been up at the front exactly twice during an invitation at church, both times at my church in San Diego. They did it a little differently than some places I’d been. People would sort of hang out on the short steps leading to the stage, and if you wanted prayer, you’d come up and have a seat. Sometimes you’d do the same in the chairs. Seemed to work pretty well. On the day in question, it was because I was a small group leader, and the pastor called us to the front to pray for or with people that wanted prayer. Typically, it was people involved in worship or ministry in some way that would be the prayers, but there was a retreat or something going on, and the pastor needed a little help. Honestly, it wasn’t something I was terribly comfortable with at the time, because I didn’t feel…worthy, or qualified to lift anyone else up to God. I felt broken, and sort of…held together. But the pastor called, so up I went. I remember the first time, I sat nervously on the step, wondering if anyone would come to me—there were quite a few people sitting around the stage. I silently prayed that if someone did end up with me, that I would have the right words to say when the time came. Shortly after that, I saw a pretty woman in her late thirties or early forties make her way down the aisle to where I was sitting. She was tall for a woman, and very slender. She had a bandanna tied around what looked to be a very bald head, and my first thought was cancer. What I remember most is she looked very, very tired, and from what it looked like, had been sitting alone in the sanctuary. She stopped right before me, and I slowly stood. She took both my hands in hers, and I could see the gentle sheen of tears in her eyes. Before I could finish my sentence, she dropped her head toward her chest and the tears began to flow. God, I prayed. What do I say? What do I do to help her? You do nothing, was the sense I got. You say nothing. So I didn’t. She was a little older than me at the time, but I just reached out my arms and I hugged her. She cried on my chest for a good five minutes, and I just prayed silently in my head for her. Mainly that she could experience Jesus through her pain, and that I not ruin any experience that might happen. I never asked for healing. I don’t know why. “It was my pleasure,” I said. She looked at me for a moment, and then walked back down the aisle, and out of the sanctuary. I stood there for a moment, and realized I didn’t feel nervous anymore. I actually felt peaceful. 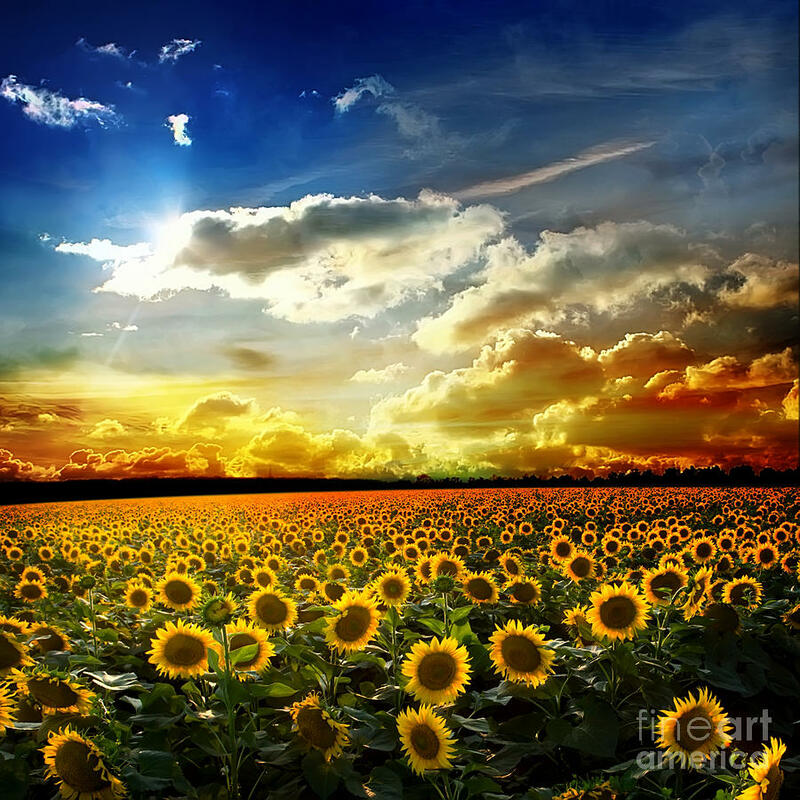 I could still feel the woman’s arms around me, and smell the faint scent of Sunflowers (I think that’s what it’s called) clinging to my t-shirt. I didn’t remember anyone holding onto me like that since I was a kid. Not in a romantic way, but still loving. Comforting. Like I was a brother. I realized it was me who needed the prayer, and in that moment, needed her. And it occurred to me that maybe she’d been praying for me the whole time I was praying for her. Maybe she was crying for me. I felt like I got the most of the blessing. That was the only time I saw her. I don’t know her name, but when I think about God meeting my needs (which he does every time I ask), I always think of her, and of Sunflowers perfume. And I think one of the funny things about God is sometimes you just need to show up, and let him do the work.